As I read the first two books of Amish’s Shiva Trilogy, I reflect that he inhabits the cusp of J K Rowling and Paulo Coelho. He has Rowling’s love of adjective, astute marketing skills and aspiration to an expansive vocabulary. His stories are populated by “lascivious women”, “discrete aides”, “lightening strikes” and “unwaivering battle heroes”. But where Rowling chooses to borrow from existing fantasy, he, like Coelho, harvests Eastern philosophy for a fast-paced narrative that trades in spiritual ware. 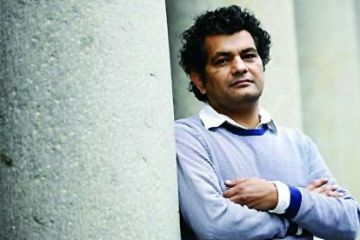 His interpretation of Indian epics and divine mythology is couched in imaginings of ancient lands and creatures both magnificent and grotesque. When asked about the books, and how they brought about a transition in both his career and religious persuasions, he is candid, almost to the point of naïveté. Standing in contrast to that is marketing skill that is testimony to the coaching of his alma mater, IIM Calcutta. Tell me about your own introduction to the legend of Shiva, and mythology as such. Was it through Amar Chitra Katha, or through parents and grandparents and that sort of thing? You can say I learnt our mythology and our philosophy the way it was supposed to be learnt originally—listening and asking questions. Shruti in Indian mythology means ‘listen’. So I learnt it the old-fashioned way, because my grandfather was a priest in Varanasi, and a teacher at Banaras Hindu University. My parents are very religious, so most of what I know of mythology and religion I’ve learnt from them. Of course, there are other influences. No doubt, no person of my generation can negate the value of Amar Chitra Katha. There are books written by foreigners too, on Indian philosophies, like the works of Wendy Doniger, and The Principal Upanishads by Alan Jacobs. I had the good fortune of reading many of these books, but the vast majority comes from my grandparents and my parents. Did you also study Sanskrit? You tend to use a lot of Sanskrit in your works. No. My grandfather was a Sanskrit scholar, but I don’t know Sanskrit. I learnt the myths in a mixture of Hindi and English from him. He used to keep telling me I would lose much of the essence if I didn’t learn it in Sanskrit. My grandfather found English a very unscientific language, but he’d learnt it after college because he realised that for good jobs, one needs English. You come from a pragmatic family, then? Which category would you slot yourself into? It depends on what area of life you’re speaking about. If you’re speaking about my books, my family, I’m passionate. If you speak about my business dealings, my banking career, my decisions in terms of how I handle my money, then I think I’m pragmatic. First there was Chetan Bhagat, and now there’s you. I have to ask—what is it about you bankers that makes you want to give up your day jobs and write books? Because it’s such a boring job we want to run away. (Laughs) No, I’ll tell you the truth—the Reserve Bank of India, they run creative writing courses for us bankers, because even the central bank is so sick of us they want us kicked out. (Laughs) Look, seriously, I think it’s just a coincidence. I don’t think there’s some grand design in this. And what I genuinely feel is that this is a time for an upsurge of creativity in India in every sphere, not just in writing. After nearly two hundred-three hundred years, it is a good time to be Indian. We see creativity in the area of entrepreneurship, in the area of films, and so many more – I think writing is just another expression of that upsurge of confidence and creativity that you see across India. Some of us are bankers or IIT-IIM graduates. I think it’s a coincidence. And what I genuinely feel is that this is a time for an upsurge of creativity in India in every sphere, not just in writing. After nearly 200-300 years, it is a good time to be Indian. We see creativity in the area of entrepreneurship, in the area of films, and so many more – I think writing is just another expression of that upsurge of confidence. But do you resent being seen as part of this “IIT-IIM” category of writers? Why would I? These are institutions that all Indians can be proud of. You get there on merit. You don’t get in because your Dad was born well. So it’s a matter of pride that you graduated from IIM. No, what I meant is, do you resent being seen as a ‘writer from IIT-IIM’, someone who shifted from another profession, rather than as just a writer in your own right? (Laughs) This is an argument I find strange, because this is the exact argument that has been used for 100, 200, 300 years—saying you should take up a profession only if you’ve been born into it; or, you know, ‘These doors are closed’. And that attitude kept India back, even for the first 40 years after Independence. Why were we such a super-flop? We were going nowhere, right? Why? Because we had this sense of the governing elite will decide what the people should do. You have been born into this, so you will do this. They will give the licence. Who are they to decide, yaar? We’re a free country. No one has the right to tell anyone else what they can or cannot do. No one. We don’t live in Pakistan. We don’t live in China. We live in India. So, you have a choice not to read the book that someone has written. But you don’t have the right to tell someone that he can’t write it. And if anyone is uncomfortable with this atmosphere, they’re free to emigrate to Pakistan, and live in the paradise out there. And I really want to say this –it’s kind of fashionable to criticise Chetan Bhagat, but I’ll tell the people who tell Chetan Bhagat not to write that they’re not behaving any differently from the extremists at the Jaipur Lit Fest, who wanted to stop another author [Salman Rushdie]. If you don’t like a book, don’t read it. But don’t tell someone not to write it. We live in a free country. Freedom of expression is constitutionally guaranteed. Article 19 (A), if I’m not mistaken, in our Constitution. You can’t tell anyone to shut up. When it comes to writing, what do you think takes precedence—language, content, or imagination? See, it depends on your aim. I’d like to compare storytelling to a hunt. When you go on a hunt—none of us go anymore, but in the olden days, when you went hunting, the objective was to find the kill, right? Find the animal. And there’s another type of book that is essentially a leisurely walk in the park. There’s no objective. So, there are books that are essentially about stories, structured like a hunt. If the objective is to find something, or learn something, that’s how it is. And then there are books where you’re not aiming to learn anything, right? P G Wodehouse, for example, wrote beautiful novels. I’m a huge fan of Wodehouse. But they’re walks in the park. I mean, it’s not as if you’re going to learn anything from the misadventures of Bertie Wooster, frankly. Now, I tend to read non-fiction. They’re, in my perspective, like a hunt. There’s an objective. So, if you’re driven by an objective, perhaps you’ll not give language that much importance. For example, The Autobiography of a Yogi [by Paramahansa Yogananda] is a book with an objective. I’m sure literary enthusiasts will snigger at the language. Someone who’s passionate about language will not like it. But someone who’s passionate about philosophy, like me perhaps, would enjoy The Autobiography. But that doesn’t mean I have the right to judge someone who just likes a walk in the park, yaar. Someone who doesn’t care if he doesn’t learn from it, who doesn’t care if there’s no philosophy or message or religious symbolism. There’s no point judging which is better or worse. When you describe Meluha—the construction and planning of the towns, the surrendering of birth children who grow up without the trappings of caste, the adoption of other children from one’s own caste–there seems to be a vision here, for how the country should be run. Is this your vision for how India should be run? India, the way it presently is, I don’t think can be run in that manner. 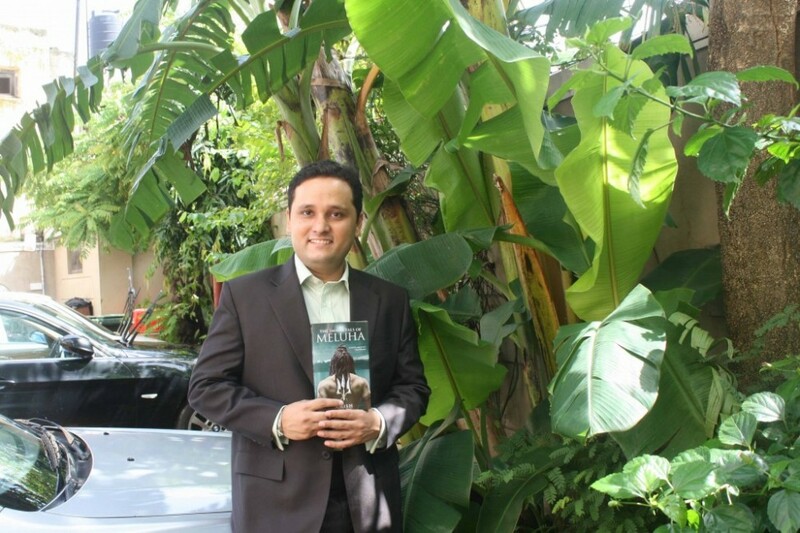 India is–if you’ve read my books–a Chandravanshi country. We’re not a Suryavanshi country. We’re not a country of compliance. We’re a country of rebels. We’ve had instances in our past where we have been run in that manner. But if you see a majority of India’s history, we have been a free-spirited, culturally united but politically divided, country, country of renovation, a country of rebellion. It worked for us, right? We were among the richest and most powerful countries for practically all of human history, except for the last 200-300 years. That is just our way of being. There are some countries which, I think, are naturally Suryavanshi, like Sparta in ancient Greece. Many of ancient China’s empires were run in that manner. But I’d like to say that each individual has Suryavanshi and Chandravanshi within him. So you’ll find that people who’re more Suryavanshi like order and their concept of justice, their concept of truth. But people who’re more Chandravanshi are more passionate about freedom, more passionate about passion. And they believe no one can tell them how they should live their lives, they should decide how to live their lives. India’s that kind of country. Since you asked me if I’ve read your books, I’m curious–have you ever been interviewed by people who haven’t read your books? And how do you answer them? (Laughs) I do my best, yaar, what can I say? Back to your book, the Meluhans envision the caste system as something determined by merit and capability, not birth. What’s your opinion of the caste system? Do you think it’s a good thing, as long as caste is decided in that manner? I think that actually, in ancient India, it was run that way. It was entirely flexible. It was essentially a division of labour. It was not defined by birth. If you see the Brahmins who are respected, ancient Brahmins–now, Rishi Ved Vyas, the author of Mahabharat and the person who divided the Vedas into four, is seen as a Brahmin, right? But what people tend to forget is that he was not born a Brahmin. He was born as Krishna Dvaipayan, and he was the son of a fisherwoman. If you see Rishi Valmiki, for example, who wrote the original Ramayan, he wasn’t a Brahmin either. They became Brahmins through their karma, the way it was supposed to be. But the caste system today is disgusting. You cannot judge people by the way they’re born. They should only be judged by karm. It’s horribly wrong, one of the reasons I refuse to use my surname on the cover of the book. 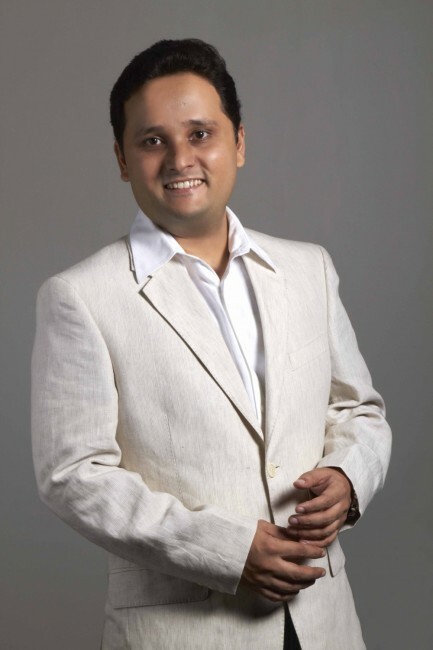 My surname is a caste surname, and in my own small way I think I’m trying to say something–judge me as Amish, don’t judge me as Amish Tripathi. Can we expect non-fiction from you? I don’t know. Right now, I have so many stories in my mind that I’m going to be busy writing those for some time. But even in the fiction that I write, there are messages for today’s India. I’m happy that, in the emails I get, so many of my readers can actually decode those messages. I’m delighted when I get mails from readers who’ve decoded those. You also have very definite geographical areas in the books, marked on a map. So do you think of it as an allegory for the modern world? That is one of the reasons I’ve used modern names. For example, instead of using the term ‘Jambudvip’, I’ve said ‘India’, because it helps people kind of draw the parallels to today. Also, you have to understand I’m speaking of an era and philosophies that, very sadly, many modern Indians are not aware of. I’m not saying there’s anything wrong with learning about the West. Western culture is great and there’s a lot we can learn from it. But, regrettably, you find people who know more about the West than their own culture. As Gandhiji said, you should keep the windows of your house open, and let the winds of all other cultures come into your house, and be enriched by them. But you should be rooted to your own culture as well, because then you’re not blown off your feet. Since, sadly, so many people are not aware of our own ancient past, I thought using modern terms would also make it easier to relate. This may be because I’m a journalist, but the diplomatic exchanges after the attack on Mount Mandar reminded me of the India-Pakistan interactions after the Mumbai attack. Did you happen to write them at the same time? (Laughs) No, I’d already written it before 26/11. But if you see the reactions, the diplomatic exchange that usually follows a terrorist attack does happen in that way. Meluha seems to encompass what is today Pakistan, and you speak of a conservative North-West, which is actually the case there. Were you conscious of the geographical areas you were writing about, and how they function today? No, Meluha doesn’t only encompass Pakistan. It encompasses large parts of Afghanistan, and large parts of India as well–all of Kashmir, Haryana, Punjab, Himachal Pradesh, Delhi, Rajasthan, Gujarat. And the current Pakistan may have moved on a strange path in the last forty to fifty years, but the fact is that we were culturally one country before that. Perhaps we’ve moved so far apart culturally now that it’s difficult to recognise that, but through most of history, it was culturally one country. So, don’t read too much of the modern situation into Pakistan being a part of Meluha. Because Meluha was the Indus Valley Civilisation, and this was the extent of the Indus Valley Civilisation—or Saraswati Valley Civilisation. There are historians who say the correct term for it is ‘The Saraswati Valley Civilisation’, and not ‘The Indus Valley Civilisation’. I read that you wanted to be a historian. Do some of the names in the book draw from what you’ve read of history, or are they random? You’ve called the area south of the Vindhyas “Sangamtamil” for instance. Was there a definite idea you wanted to convey, to bring out a characteristic of the region? No, these are random. The theory that I’ve quoted of where Manu emerged from is based on a book called Underworld, written by Graham Hancock. He’s a maverick British historian willing to challenge conventional wisdom, and he’ll look at facts rather than biases and opinions, which is why I like reading him. There are many Western historians who believe the Aryan invasion theory that is not that credible. Now, Hancock has done deep-sea diving off the coast of Tamil Nadu and Gujarat, and other places across the world. And he has posited the theory that there existed great civilisations, across the world, during the Ice Age. Many were destroyed as the Ice Age ended and sea levels rose. This included civilisations off the coast of Tamil Nadu and Gujarat. And he postulated that the descendants of these two civilisations went up North, and started what we call the Vedic civilisation today. He’s done a lot of research, and backed it up with evidence. That theory made sense to me, and it also appealed to me as an Indian—that we are one people, and that this idea of North Indians and South Indians being from different tribes is based on a nonsensical theory. Therefore, the names I’ve used are based on names he used in his book, and names I’m aware of from ancient Tamil sources. For example, Tamil sources refer to three Sangam periods. But I’ve interpreted its name to be this. I believe the actual name of that civilisation that existed 12,000 years ago was different. I’m going to write about this in my book on Manu. You’ve spoken of your belief in religion. Is there a conflict when you’re a believer on the one hand, worshipping these Gods, and on the other, you have to see them as characters with human emotions and weaknesses? Why should there be a conflict? If you read our Puranas, you’ll see the way our Gods are portrayed. Read the Ramayan, read the Mahabharat, read the Rig Ved. You see the relationship between Yam and Yami. I think perhaps our ancients understood this, that myths were written in a form where humans could understand them. Because when you see a God who is like you, you can learn from Him. You’ve referred to the trilogy as Lord Shiva’s blessing to you. When did the story occur to you? It is genuinely Lord Shiva’s blessing. It started as a pure philosophy thesis, which then got converted into a story to convey that philosophy. As far as how the story itself emerges, I’d love it if I could explain it in some way. But I can’t. I just sit down to write, and it flows. It comes to me like a movie, many times. I can actually see what’s happening, and I just describe it. It’s a very strange feeling, and I’ve never experienced it before. I’d written no fiction ever in my life before. Since I can’t explain it logically, the only explanation that makes sense to me is that it’s a blessing, and I’m just the instrument. Your Wikipedia page seems to contain a lot of very personal information, about your thoughts and ideas. Was it you who wrote it? No, I’ve no idea who wrote it! I’ve not written anything on Wikipedia, and I’ve no idea how it works. But I’ve noticed that some people have written in to me, quoting links from Wiki, and I’m like, ‘Man, this is wrong! I never said this! How did it appear?’ (Laughs) So I was asking people, when these mistakes happened, ki, achcha, what do I do? But no one really understands how it works, actually. I’ve been told you just live with it. I find that strange, but okay, what can I do? Is it true that you were atheist for a while? Yes, I’ve spoken of that in many interviews, and put it on my website. I’ve never hidden it, and I see no reason why I should hide it. I turned into an atheist in the early 1990s, when most of my friends lost interest in religion. I was in Mumbai in those days, and we had a series of riots and bomb blasts. We had a big gang of friends, some 15-20 of us, and a majority were Hindus, but we had Parsis, Muslims, Christians; and I remember all of us had just kind of switched off. And we were seeing religion as a problem. So I did turn atheist in those days. And my father used to keep telling me, you can’t blame religion for what some idiots do; you have to blame the idiots. I couldn’t understand it then, I guess. I do now. What drew you back to religion? Writing my book, actually. I discovered Him more and more, and I found faith as I discovered Lord Shiva. You can say I rediscovered him, because I’d grown up learning about Him and about other Hindu Gods. But now I understood what I’d learnt. Everyone finds love in your books. Do you believe in happy endings, or do you think that’s what the audience wants? To move outside the story for a bit, you came up with a lot of innovative marketing strategies. You got bookshops to give away the first chapter of your book. And you had a trailer shot and uploaded on YouTube for the first book, and screened in multiplexes for the second. Do you think the marketing matters more than the content of a book, when it comes to selling it? I think it matters equally. Let me give you a wonderful example I learnt in my B-school. You know those massive aircraft carriers, those ships? Where a fighter plane can just take off on a rather short runway? There are two things which are absolutely necessary in order for the plane to take off. First, of course, the engines of that plane must be working, right? But even if you have the most powerful engines of the world in that plane, even if you have a Raptor, it cannot take off from an aircraft carrier until something called a steam propeller is attached to the plane, which propels the plane forward, so that it can build up enough speed for the plane to take off. You know how Boyle’s Law works, right, the air on the top has to move faster than the air below. And to get Boyle’s Law in motion, that has to happen. Now, the plane is like the product and the steam propeller is like marketing. You can have the best product in the world. But if the steam propeller is not there, it’s going to crash into the sea. And you can have the best steam propeller in the world, but if the engines are not working, the plane will still not take off. That’s how it is with the book and the marketing. Frankly, in books, good marketing is very rare. The Indian publishing industry doesn’t really do too much marketing. But in movies, the marketing is very good, right? I’m sure you know of movies which had exceptional marketing, but the movie still didn’t take off, because the product was bad. And in books, there are lots of cases of very good books, which would have been massive bestsellers, but they’ve been poorly marketed, so they haven’t taken off. For example, India’s Sacred Geography by Diana L Eck. Anyone who’s a proud Indian must read the book. I’m betting that 99.9 percent of readers haven’t even heard of it, because it hasn’t been marketed at all. Matlab, yaar, if you haven’t even heard of a book, how in God’s name are you going to buy it? So, it’s a fallacy to assume that a good book sells itself. It doesn’t. It needs marketing. With The Immortals of Meluha, you were a new author. So did you have to take on the marketing yourself? I self-published, with Anuj Bahri as my agent. We did what we considered quite reasonable, and put him down as my publisher. Because, there is regrettably, a bias against self-publishing in India, I don’t know why. So I was told that many retailers may not stock it if I put my own name as publisher. So we published under Anuj’s imprint. He invested in the printing, and I invested in the marketing, which was obviously a greater expense. But my book was rejected by everyone, so I had no choice. You must feel vindicated, now that the book is such a huge success. No, why should I feel anything against anyone else? I’m just happy the book’s done well, yaar. I wanted to do it myself because I wanted the book to come out. And what was the fate of the book, Lord Shiva would decide. But I had to do the best from my side. What do you think was the selling point? What made people lap it up? God knows, man! Okay, let me try and do some random analysis. Some people say that the story is apparently good. Many people who write in to me say they finished it within a day itself. Some people tell me that the philosophies are nice— some of them are my own philosophies, some are from the Vedas and Upanishads. And people like it that they’re put across in a simple manner. Some people tell me it’s the philosophy, some people tell me it’s the good marketing that made it work. You want my honest view, I think Lord Shiva made it work. When a franchise is successful, there must be demands for other merchandise, like an interactive website or video games. How open are you to these? I won’t say that I’m closed to anything. But I’m very clear that anything done must be done with respect to Lord Shiva. He is my God. He is not just a character for me. Till now, I’ve not signed off any rights. I believe Dharma Productions bought movie rights recently. But more than two years before that, you’d written the book as if you’d imagined the movie already. Even the descriptions of the fights seem designed for Bollywood. You must have spared the screenplay writer a lot of work! (Laughs) Oh, no, no, no, he’ll have a lot to do, yaar! What I’ve been told is that a rough rule of thumb is that one page translates roughly into one minute on screen. My books are long, on an average, they’re four hundred pages. Which means if they make the movie exactly the way it’s written in the book, it’ll be a seven-hour long movie, and that’ll be a human rights violation! Maybe you should speak to Anurag Kashyap. He did make a five and a half-hour movie. (Laughs) Yeah, but you’re forgetting that I have three books, so it’ll be seven to eight parts, then! Will you have a say in who plays Lord Shiva in the movies, or has the actor already been chosen? I’m afraid I can’t comment on the actor right now. It’s only fair that Dharma announces the actor and other things about the movie at the right time. Of course, I’m on as a consultant, but they’ve acquired the Indian movie rights, so they should make the announcement. But you picked the person who played Shiva in the trailers. How did you audition him? (Laughs) Yeah, but I never showed his face! I have a picture in my mind of what He looked like, but I’ve never shown His face, because I want people to have their own idea of Shiva’s appearance. You mentioned Indian movie rights specifically. You have an agent in Hollywood too. Are you planning for a Hollywood movie based on the series? There are some discussions, but it’s too early to make a comment. My agency is in talks, and also the international edition of the book should, Inshallah, come out early next year. Are you making any further changes in the book for a foreign audience? You’ve already explained most of the Indian habits and words in your glossary. Yeah, many of the things have been explained already, but I’m making more additions. 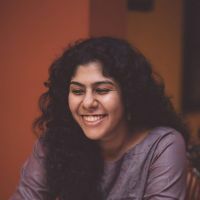 You know, when we were doing the editing for the US and UK editions of Meluha, the people who’re working on the book in London–none of them are of Indian origin, they’re all, for want of a better term, pure Westerners–they had some valid points. They said that some of the terms that I’ve used, some of the comparisons I’ve used, may not be understood by a Westerner who doesn’t have a knowledge of India. So we’ve changed the language a bit, and changed those terms, so that even people who don’t have an India connect will be able to understand. You’ve said in an interview that the audience that visits theatre is the same one that reads your books. Is there a measure of calculation that goes into tailoring your stories, to cater to this audience? That was not an exact quote from what I said. I’ve learnt to live with those misquotes! What I actually said was that the audience that visits movies is the same that can read books. The point I was trying to make is that there’s an assumption that the reading public is a small, insignificant, elitist group which lives in South Mumbai and South Delhi and only walks into book stores. I was saying, what is a book? It’s essentially a way to enjoy a good story. Which is what one does with TV, with movies. So anyone who watches a movie can read a book as well. So why can’t we target them? You use mostly American teenage slang in dialogues, and the language in your narrative is quite simple too. What language do you envision the characters speaking? Is it Hindi or Sanskrit? Or do you imagine it in English? Well, Hindi didn’t exist at the time as a language, 4,000 years ago. English, of course, didn’t exist as a language. It began its journey in Germany in the eighth century. Even classical Sanskrit didn’t exist back then. It’s based on rules by Paanini, and he lived in the second or third century, if I’m not mistaken. Before that, the language that existed was Vedic Sanskrit. I’m not aware of how many people in India even know Vedic Sanskrit anymore. I certainly don’t. So, I imagine that they would have spoken in Vedic Sanskrit, but I hear the story in English, and I write in the language I think. Did you always intend to write this as a trilogy? No. When I started, I thought it would be one book. And then it just grew and grew, and I decided to split it up into three, because you can’t release a 1500-page book. You use a cliff-hanger technique in your books, though your readers have to wait a couple of years between books. Well, on the second book, when you read the third book, you’ll realise I couldn’t have ended it any other way. In the first book, I admit, it was a cliff-hanger. The original end was slightly different. See, in my mind, they’re not three independent books; it’s one continuous story. But I had a choice of where I could break it up. In the original book, I’d placed the end before the Naga attack, not in the middle of the attack. My editor asked me what happens after that, and I told her. She thought it would be a good idea to move it two pages ahead. She gave me two reasons – one is that a cliff-hanger certainly makes sense from a marketing perspective, and it appealed to the marketer in me. And the second thing she said was, just in case the book does well, you don’t want people thinking that you’re extending the book simply to make money out of it. It was originally supposed to be a trilogy, irrespective of how it did. She said the best way to make that clear was to leave the ending in a place where it was obvious that the story was supposed to carry on. So both these reasons appealed to me. You’ve finished writing the third book. Is it hard to leave the story behind with it, and move on to whatever is next? Of course it’s hard. For me they’re not characters, they’re real. We’re at the editing stage now, and it’s grown into a very long book. It’s going to be hard to move on. But, you know, there are a huge bunch of interesting new characters calling to me as well. And it’s not as if I’m leaving these characters, these people. They will be in my mind. And Lord Shiva will always be with me. Lastly, I’m going to ask you the most pragmatic question of all. Is there more money in writing a successful series than in working for a multinational bank? 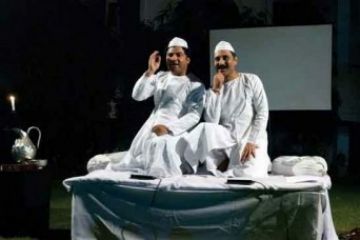 Since he revived the performances in 2005, Mahmood Farooqui has acted in and directed more than 130 Dastangoi shows across several cities in India, Pakistan and the United States. 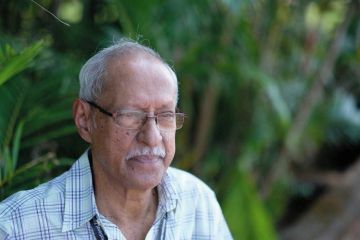 Damodar Mauzo talks about Konkani’s progress, the liberation of Goa and why he became a target for the wing nuts of Sanatan Sanstha.